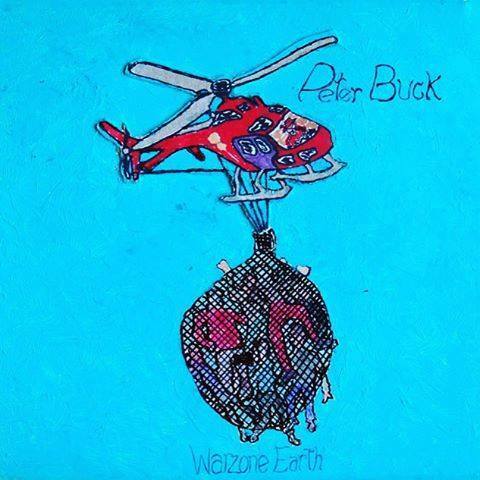 ALBUM REVIEW: PETER BUCK, "Warzone Earth"
Good thing I didn’t let this one slip through the cracks. This guy just doesn’t slow down – rocking harder than before and belting out ballsy numbers as if he’d led a band all his life. I mean, he did – except not as the frontman, but as the guitarist who influenced an entire generation. And on this, his third solo album, the aptly-titled Warzone Earth, Buck’s taking no prisoners. “It Ain’t Killing Me” is a high octane, full-throttle rock spitter that Buck unleashes with his deadpan vocal style and it just kicks hard and fast; “World Spins Around You” features Wilco’s Jeff Tweedy’s lead vocal and is gentle and emotionally charged and “Gun Shaped Heart” is an instant Stooges-styled classic with a clever chord structure of minor chords bouncing off the poppier major notes. “Saturday Sunday Monday” has a complete Jesus & Mary Chain/Velvets feel, awash in noise and heavy fuzz and yet, by virtue of the lyrics, it’s a sad and mournful track and “I Hate My Life And The Way I Live” is a garage-y powerhouse with subtle psycho-organ and is the album’s leadoff (and a great way to get the proceedings underway). I’ve said it before and I’m happy to say it again. It doesn’t matter what your memories of R.E.M. 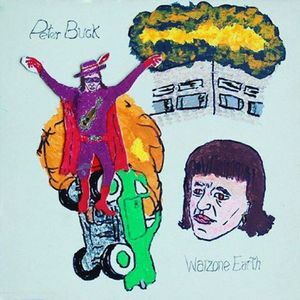 or of Pete Buck’s guitar sound are or were – take him as he is now; an artist of his own merit. Having fun, playing guitar, writing and singing on his own. On those terms, it’s enough to just get down and enjoy and appreciate that someone like him is still out there, doing it. You don’t need more criteria than that.